Hey y’all! The greening grass outside has me excited for Spring! As you go through your wardrobe and figure out what has seen better days and what needs added, it’s important to start with a finished “product” in mind so you can know where you’re headed. I used the “Inspiration Catagory– Spring” on the menu above to help pick some of my favorite ensembles I’ve shared on Fresh Modesty in the past. I’ll include some comments to myself about each of these looks, just so you can get a feel for how I’m analyzing them. Left: Obedience in Spring Colors— That pink and green and leather combo is so fresh! I love how easy that skirt is to wear… it’s getting worn though, maybe I can make a new one? Right: Review: Halftee— Springtime here is super muddy, so remember to incorporate rainboots into your wardrobe. Need to get a new casual black skirt like that. Right: Muddy— Need to make myself a long denim skirt with belt-loops that’s distressed. Something more casual than the Errand #17. Love the simplicity of that olive t-shirt… need to buy some more. Left: Peacock— LOVE the simple, no-fuss cotton skirt that just fits. Should look for/make some more of those. That shirt is waaaay out of style. Right: 80*— Loved that yellow skirt, but only got to wear it basically twice because it just attracted dirt/stains so well. Long easy denim skirts are perfect for all year, though. Left: Black + Pink + Denim— Piiiiiiink stripes, yes! Need to actually wear my pink striped shirts more often, since it’s a fun, flattering color on me. 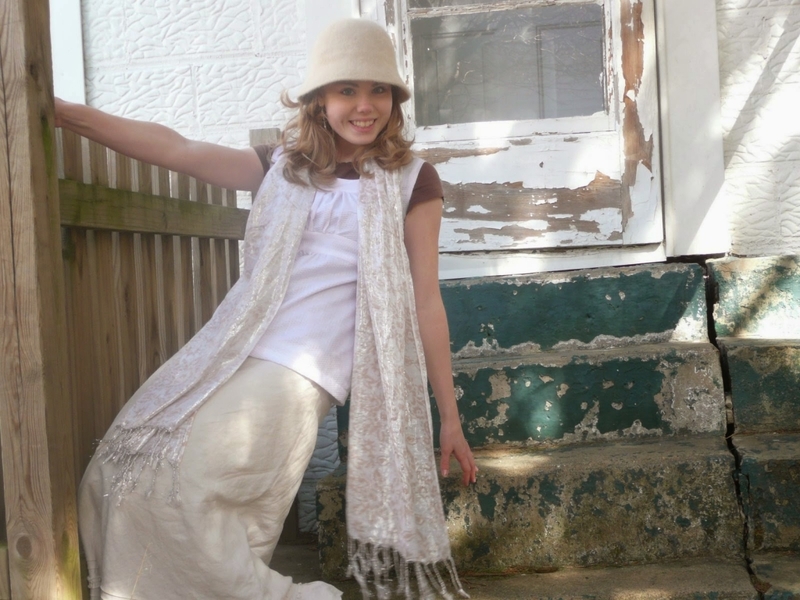 Again with the long denim skirt. Right: Saving Faith in Cornflower + Print— This skirt is the bomb dot com. I’ve worn it out, though… need to look for a new staple skirt to replace it. Here are two blasts from the past! Posted right here on Fresh Modesty over 6 years ago. Bottom: Shopping Outfit–Although I looked like a librarian, I love the bow belt and pink button-up. Although blue, white, and yellow are the main on-trend colors this spring, I’m still partial to the coral and pink hues. Left: I love the look of the colored maxi skirt with a leather belt! Although I don’t wear blazers, I like the layering here. Right: looooooving the scallop trend. Need to make myself one of these skirts to wear with flouffy tops. 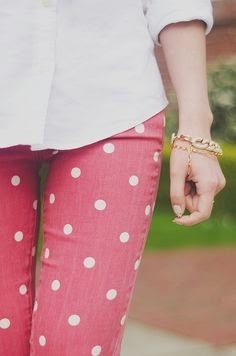 Left: Colored/ printed capris are on my radar, and I love the idea of keeping jeans feminine and fun like that. Follow Fresh Modesty’s board Spring Fashion on Pinterest. So, now that I have a general idea of the “feel” and type of wardrobe I’d like to cultivate, next comes going through what I already have and weeding out the good from the bad! Where are some places you’re looking for inspiration from this spring? Awesome! Thanks for the tips on colours…I really like the black and white striped cardigan on the one lady. 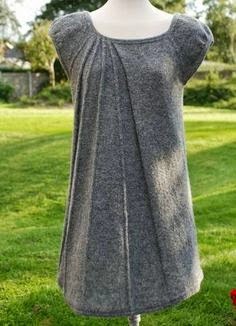 That tunic would be awesome in fun colours as well. I like yellow and blues. 🙂 Light blue jeans with a fun top with flats are nice. But…it's still rubber boot season so fun rubber boots (mine has horses all over them ) adds it up. I like your Review_Half Tee outfit and the Muddy one as well. 🙂 I like skirts that are faded a bit. Adds texture. 🙂 Hope all is well with you! I LOVE the very first outfit! It was so fun to see some of your older outfits, Olivia! Strange as it is, I think some of my favorites from this group are the just basic t-shirt with a tank shirt + simple skirts combos (A yellow denim skirt? Are you kidding me? So pretty!). I went through a phase a few years ago where my definition of style was always layering tanks and tees and cardis and scarves and belts and jewelry and the like (usually of bright colors… "Hmm.. this bright turquoise cardi goes with that bright yellow shirt!"…ugh.. ), basically showing how much work I had put into my outfit to analyze each thing and come up with an "amazing" ensemble. I still do layer a lot, but I am loving the outfits that just "work" without requiring lots of effort. Especially since my life has been crazy busy lately (just got back from a missions trip to Mexico!) it's nice to have an outfit that stands for itself without fuss. 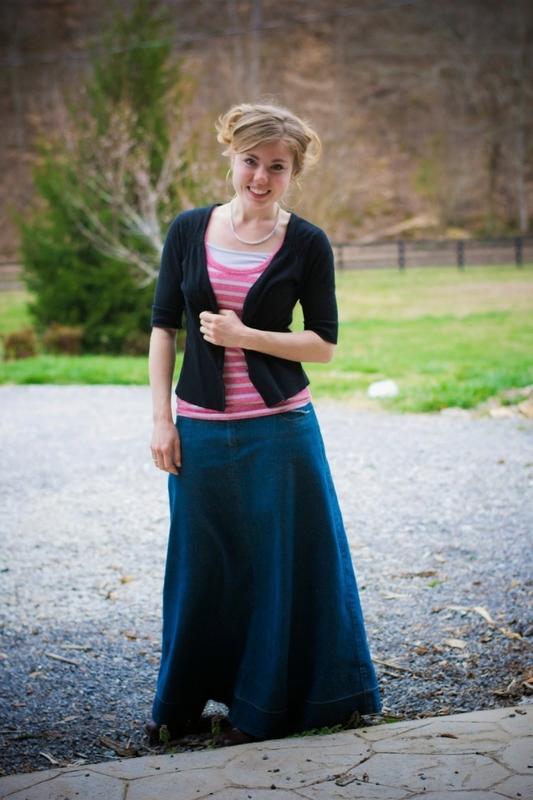 Also, that floral sweater from your Mercies Anew post is SO GORGEOUS! 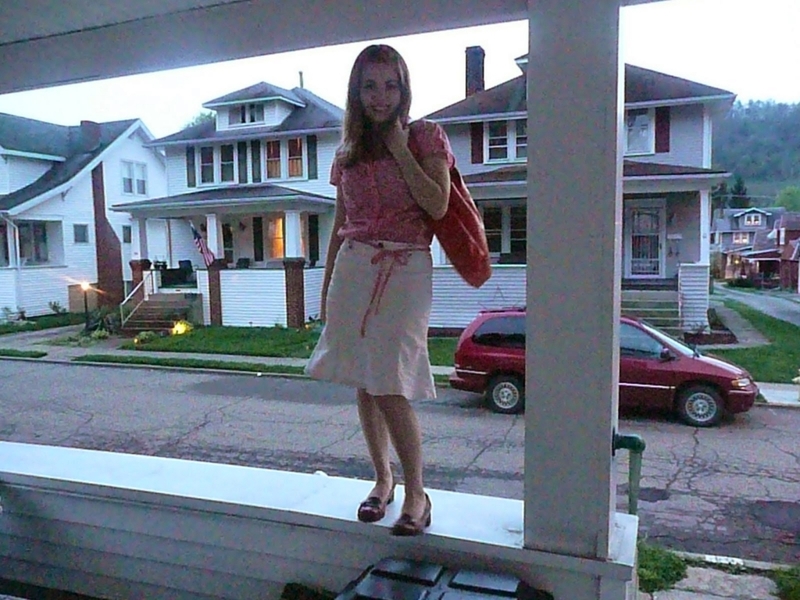 I'm slowly recovering from my aforementioned bright, twelve-year-old style by replacing my old pieces with more feminine, delicate things, and I really wish I could find a floral cardi like that! Love! Beautiful! My favorite is the first one of the fourth pair– so lovely. Thanks for inspiring me to think about and improve my spring wardrobe! You think of such cute stuff! Gotta love it.